A retired teacher who once taught in Coweta and Fayette counties was sentenced on Sept. 2 to five years in prison after entering a guilty plea related to his arrest at a Dec. 2, 2010 traffic stop in east Coweta County where a deputy found him in possession of 25 pounds of marijuana and $30,000 in cash. Fifty-eight year-old Craig Blount Humphrey, of Sharpsburg, will serve five years in prison and pay $100,000 in fines, according to Coweta County Assistant District Attorney Tim Marlow. Humphrey agreed to the guilty plea and received the five-year sentence and fine from Coweta County Superior Court Judge Quillian Baldwin. Marlow said a five-year sentence was mandatory under Georgia law. Marlow also noted that Humphrey had a previous conviction in Texas where he was found guilty of moving a felony amount of marijuana and had received two years probation. A retired school teacher who had taught in both Coweta and Fayette counties, Humphrey was busted Dec. 2, 2010 when a Coweta County Sheriff’s deputy conducting a traffic stop found him in possession of 25 pounds of “high grade” marijuana and $30,000 in cash. Humphrey was pulled over near Ga. Highway 154 after a deputy followed him from an area in east Coweta and had observed his truck weaving in the roadway, according to reports at the time of the arrest. While speaking with Humphrey the deputy noticed that a bag of marijuana that Humphrey was sitting on was exposed as he shifted in his seat, Coweta County Sheriff’s Office Maj. James Yarbrough said after the arrest. A search of the vehicle revealed two duffel bags containing marijuana in the cab of the truck behind Humphrey and another duffel bag in the passenger area, Yarbrough said at the time. What the deputy found was approximately 25 pounds of “high grade” marijuana and approximately $30,000 in cash, Yarbrough said. Yarbrough said Humphrey initially told deputies he was a teacher in Fayette County. But that was not entirely accurate, according to representatives from the Coweta and Fayette school systems at the time. Coweta County School System spokesperson Dean Jackson said Humphrey taught in Coweta early in his career. Humphrey then taught in Fayette County at McIntosh High School in Peachtree City until 2000, according to Fayette County School System spokesperson Melinda Berry-Dreisbach when questioned after the arrest. 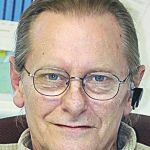 Humphrey then returned to Coweta in 2000, first teaching social studies at East Coweta Middle School and then at the Central Educational Center in Newnan until he retired in 2006, Jackson said.